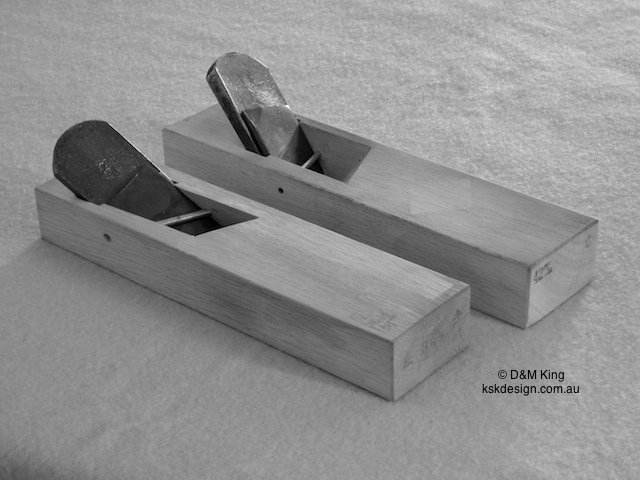 The kiwa-ganna are rebate (rabbet) planes, or shoulder planes. 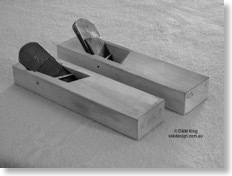 They are used to cut rebates, and come in left- and right-side cutting styles, so planing can always be with the grain. 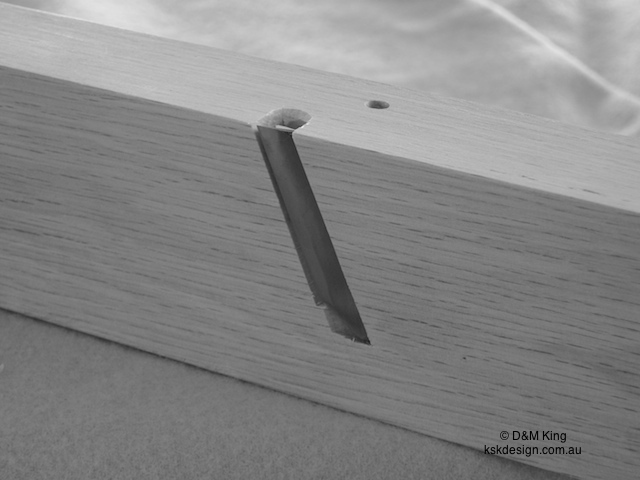 The blade is angled in the dai so that the acute-angled corner of the blade is in line with the side of the dai. 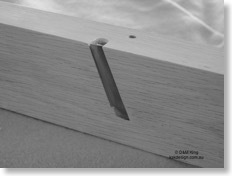 This enables the kanna to plane corners and edges with high precision, while the angled blade also provides a clean cross-grain cut. 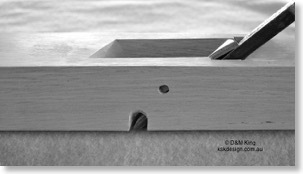 The kiwa-ganna may look a fairly simple plane, it is in fact very difficult to set up and tune. 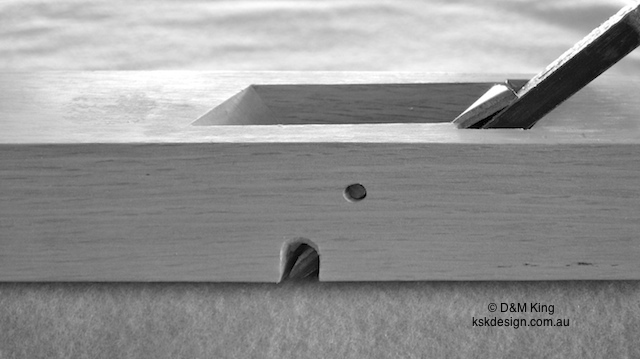 New kiwa-ganna are seldom, if ever, usable without extensive conditioning, and the skill required in tuning and adjusting this plane is much greater than that required for a hira-ganna. I explain this process in detail in Book 1.